Ever since the University and College Union passed a resolution at its first annual congress in May calling for members to discuss a call from Palestinian academics for a boycott of Israeli universities, abuse has been heaped over the union and the academics who spoke in support of the resolution from many quarters. An ethnic state built on racist lines, that illegally discriminates against both a minority of its indigenous "citizens" and against the stateless millions under its occupation, that defies the UN and international law and denies rights defined in international treaties such as the Geneva convention; a country that refuses to sign the treaty on the non-proliferation of nuclear weapons, yet holds on to hundreds of nuclear bombs; a country that has occupied land of four of its neighbours in living memory; a country using collective punishment, extrajudicial executions and death squads to settle its differences; a country which even refuses to carry out the decisions of its own supreme court? We all remember that the international community was pushed into political and diplomatic action on South Africa in the 1980s by exactly such a boycott against apartheid, including an academic boycott by the AUT, the predecessor of UCU. 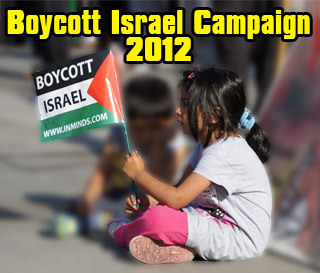 Then as now, the subjects of the boycott were quick to claim how ineffectual and unjust the resolution was. In arguing against the UCU motion (A bone-headed boycott, Prospect, July 2007), Benjamin Pogrund argues that there is no similarity between the Israeli/Palestinian and apartheid South Africa situations. The conflict in Palestine, he says, is just "two peoples struggling over a small piece of land." There is no acknowledgement of the illegal and brutal military occupation which has lasted four decades, and led to the loss of thousands of lives, a loss of livelihood for thousands more, the illegal confiscation of land, and an apartheid wall defined as illegal by international legal bodies. No, this is just a little discussion over a small piece of land. Pogrund's intervention is a perfect example of the attitude which led to the boycott calls. He shows no sensitivity to the iniquities committed in his name against the whole Palestinian nation. While he worries about how the boycott might affect Israeli academics, it does not occur to him to wonder how the occupation has affected not just Palestinian academics and students, but every Palestinian for the last 40 years. The military occupation of Palestine has turned the West Bank and Gaza into areas where a new and terrifying sort of apartheid is practiced. As Ronnie Kasrils and Desmond Tutu said, after their visits to the occupied territories, "What we saw is worse than what Africans had to endure under apartheid." This seems to be of little concern to Pogrund. The standard claim by supporters of Israel is that it is not alone in its transgressions, and hence to pick on it is to unfairly single it out. Well, can Pogrund, or anyone else, identify another country that fits the following description: an ethnic state built on racist lines, that illegally discriminates against both a minority of its indigenous "citizens" and against the stateless millions under its occupation, that defies the UN and international law and denies rights defined in international treaties such as the Geneva convention; a country that refuses to sign the treaty on the non-proliferation of nuclear weapons, yet holds on to hundreds of nuclear bombs; a country that has occupied land of four of its neighbours in living memory; a country using collective punishment, extrajudicial executions and death squads to settle its differences; a country which even refuses to carry out the decisions of its own supreme court? When Pogrund calls the boycott proposers "bone-headed," he is describing nothing but himself and his racist, illegal and brutal society. British intellectuals are unlikely to be cowed by such immoral pleading from those who should know better. "Al-Quds is not the responsibility of the Palestinian people only - they are only the guardians of Al-Quds - but we are the owners. 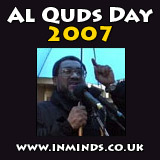 Al-Quds belongs to the Muslims and it has to be defended by the Muslims wherever they are!"